The first Cassie Sainsbury jail photos have been released. The first photos of Cassie Sainsbury in jail have emerged. The first photographs of 22-year-old accused drug smuggler Cassie Sainsbury inside her Colombian prison have been released. The images, obtained by Channel Nine, show Sainsbury smiling at a camera in a series of selfies next to an unidentified female prisoner. The Adelaide woman is currently being held in the El Buen Pastor prison, reportedly in a cell with other foreigners. She’s been in custody since last month when she was arrested at Bogota airport after authorities allegedly discovered 5.8 kilograms of cocaine in her luggage. Sainsbury claimed she thought the packages were headphones that she’d brought from a tour guide on the cheap. Cassie Sainsbury in prison. Image via Channel Nine. On Friday, Sainsbury&apos;s fiance Scott Broadbridge said she "wasn&apos;t doing great". “We’re worried for her future ... she’s not doing great,” he told The Daily Telegraph. 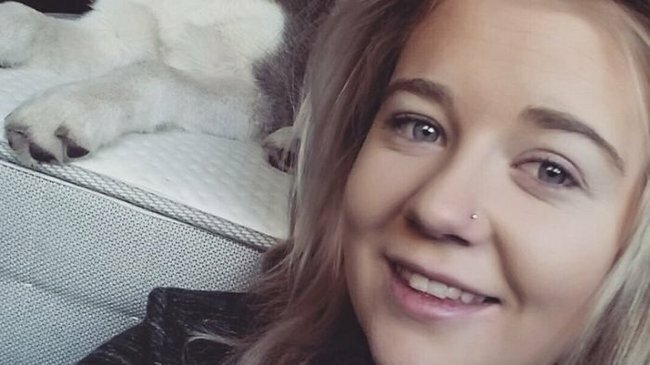 Why are we so obsessed with Cassie Sainsbury&apos;s story? Post continues below. The legal team working with the 22-year-old former fitness instructor has reportedly applied to the Australian government for financial assistance. Support can be offered to Australians in trouble overseas through the Serious Overseas Criminal Matters Scheme, which is available to those facing more than 20 years imprisonment or the death penalty if found guilty. If her case goes to trial, and Sainsbury is convicted, she faces up to 25 years behind bars.